The Fifth Annual UC Berkeley Sociological Research Symposium also brought together more than a hundred students from multiple disciplines and universities to share research among a friendly community of scholars. 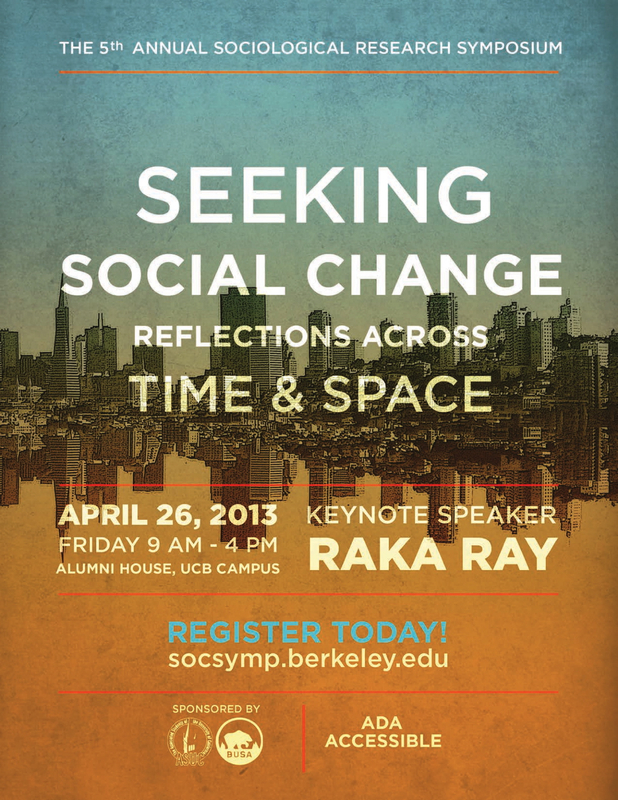 As a guiding framework for the conference, the year’s theme was “Seeking Social Change: Reflections Across Time & Space.” Our keynote speaker will be UC Berkeley Professor Raka Ray. To conclude, the Symposium celebrated its 5rd birthday with desserts and celebration, where the Danesha McCoy Award was given to four outstanding Symposium undergraduate presenters for their contributions to the UC Berkeley academic community.